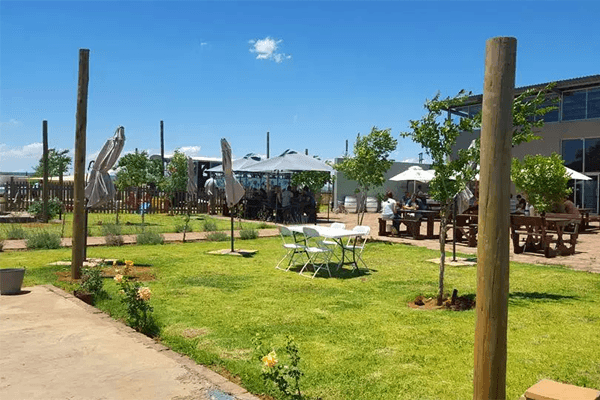 The Dog and Fig Brewery was established by a group of friends in 2008, as an expression of their passion for good company, good food and of course, great beer. "Extreme brewing causes us to step away from an age old ritual and start on a new path into uncharted territory"
The vision to establish a microbrewery with a difference started brewing as early as 2007 – already then we realised the need to develop an exclusive market for unique beers, which, like wine, can be savoured rather than quaffed. 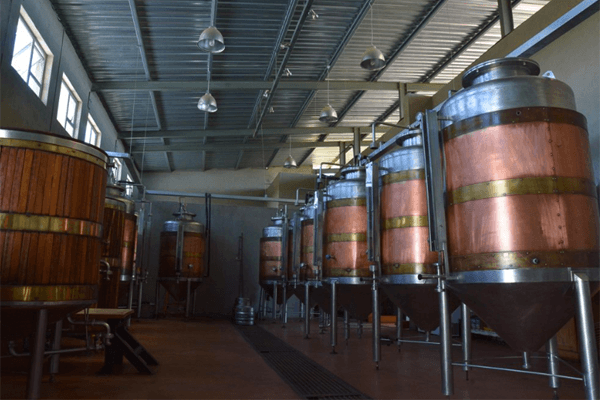 The target is to create custom-brewed “couture” beers and avoid the uniform taste of mass-produced products, hence the concept of extreme brewing. 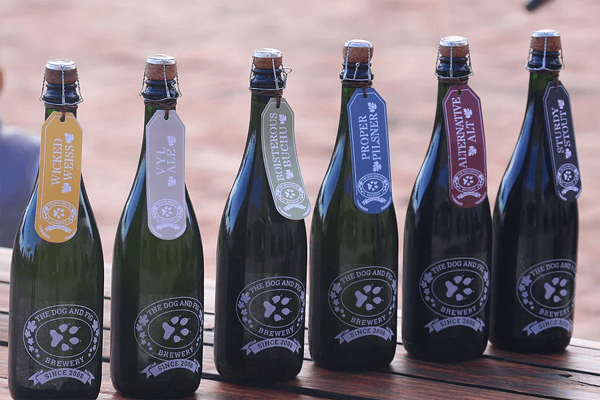 These beers are unfiltered, unpasteurised and made only with malted barley, hops and water. 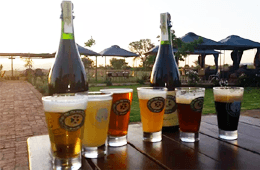 We also seek to educate people in the wide-ranging styles of beer, and therefore complement the brewing activities with structured beer-tasting evenings and attendance at various festivals. 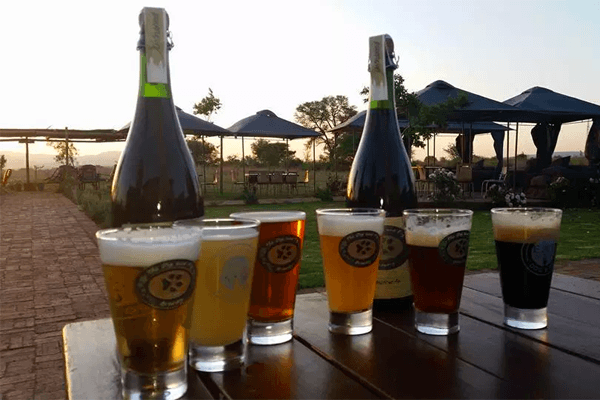 The brewery is located just outside Parys in the picturesque Vredefort Dome. This tranquil setting expresses itself in the beer-brewing process. The name comes from student days where guys were ‘Dogs’ and girls were ‘Vye’. ‘Dog’ also derives from an association with the African wild dog – these are social, tenacious animals, focussed on their target and driven to get their prey. We are constantly experimenting with new styles of beer, and are always open to the custom-brewing of specific types of beers on request. This led to the creation of our buchu beer, bringing a typically African flair to our beer range. The brewery members all have a scientific background, and therefore appreciate the art but also precision of the brewing process. Thus, we focus on beer quality and consistency, while trying to maintain our unique edge. A spicy, but refreshing wheat-based ale that is adventurous and, ultimately, refreshing. This ale has plenty of flavour, smells a little fruity, and finishes off with a dry kick. It is simple, easy to drink, and a beautiful amber colour. This classic beer is excellent for those that love traditional flavours. It has an irresistible copper colour, malty nose, and smooth taste. Infused with aromatic herbs, this beer is for the adventurous “beerer”. There is a distinct old-Africa quality to this ale. This American pale ale is bitter, and offset by a subtle honey flavour and a rich hoppy smell. The light colour, distinct hoppy flavour and tempting aroma of this beer makes it a great choice for most beer drinkers. 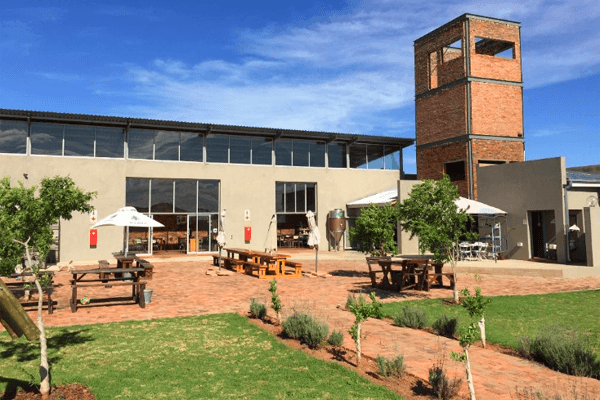 Brewing activities include brewing demonstrations, structured beer-tasting evenings and beer pairings. 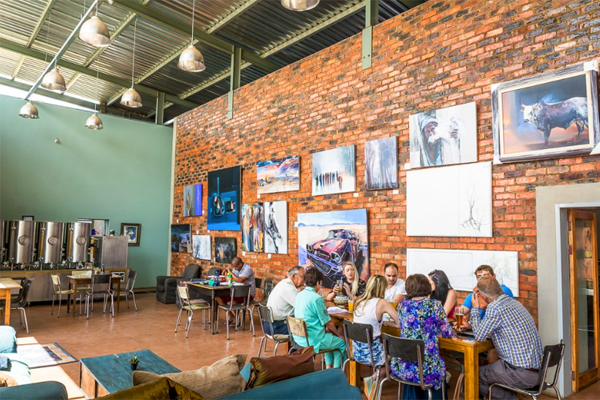 A joint venture, Eat Beer, with award winning Chef patron, Philippe Waghenfuhrer, under his well-known Eat brand, has resulted in a gastro lounge bar and restaurant that serves high-end beer and food. 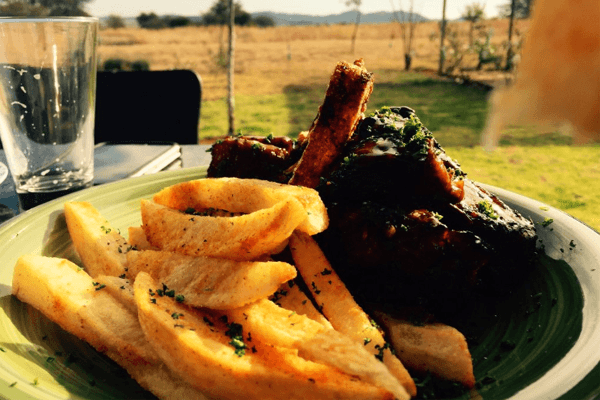 Inventive cuisine, combined with Dog and Fig's beer and relaxed atmosphere and warmed hospitality will ensure a sensory experience! The venue is child friendly and parents can relax with supervised care while the kids enjoy themselves in their own brew kid's bus!